Sunsets will be yours to enjoy endlessly on your charming private terrace with a direct view of the sparkling Gulf waters. With this home, you can create your paradise. Everything you could want is there for you to enjoy with ease. This fifth-floor three-bedroom condo has been designed to the highest of specification and quality and is steps to the beach. 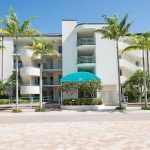 Combined with location and amenities provided by the Allegro building, this Park Shore condo is an outstanding option for anyone seeking the best that a Naples lifestyle has to offer. Presenting a light and bright open floor plan, you’ll particularly enjoy the finishes of exotic granite and marble flooring. 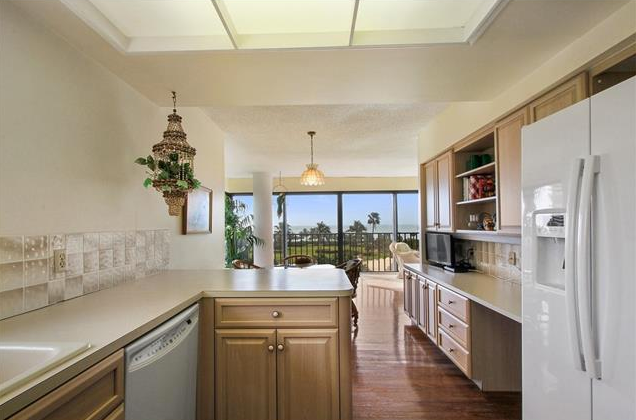 This condo has a casual elegance that’s tropical in nature. Those beautiful water views can also be enjoyed through floor-to-ceiling impact glass in the comfort of your living room, dining room, and bedrooms – every room has stunning views! The master bedroom has two walk-in closets, granite vanities, and a makeup niche and the two guest bedrooms have private baths. The seller will even put $100k in escrow for new windows. Opportunity knocks for one of the greatest Park Shore condos on the market, and this door won’t be open for long. You new home has much to offer, including a barbecue and picnic area, bike storage, a billiards room, libraries, fitness facilities, community rooms, and covered parking. The pool area is one of many spots to relax. A large sun patio, cabana, and kitchen facilities are all available for your use while you are enjoying the Gulf-side pool and spa. This condo is in the uniquely designed beachfront atrium building called Allegro. The tower features seventy-six units on fourteen levels with six-floor plans on each level. The freestanding stacks have a ground level that is connected through open-air walkways and in the center there is a landscaped courtyard with reflecting pools and fountains. Allegro was completed in 1981, but they have recently renovated the community room as well as other amenities. Venetian shops and restaurants are right across the street, and 5th Avenue is a short drive away with its world-class shopping and dining. The building is patrolled 24 hours a day by security guards, insuring safety and giving residents peace of mind. Boat slips are also available for lease or purchase. Park Shore real estate offers luxury living at its finest. Perfect homes for those with refined taste and a love of the water. There are plenty of water activities for people of all ages and interests; residents can spend the day out in the Gulf deep-sea fishing or stay closer to shore sailing along the coastline. A true coastal paradise, Park Shore is close to everything but far from the everyday. You’re sure to love this central location! 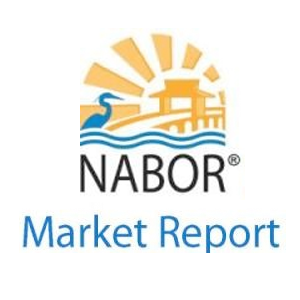 It is one of the best Naples Florida communities due to her pristine white sandy beaches, private Gulf side boardwalk, and the upscale shopping nearby. Right in the heart of the beachfront neighborhood of Park Shore is The Village on Venetian Bay, offering an eclectic mix of excellent restaurants and open air shopping. Dining options range from beachside grills to five-star dining—both serving up some of the best seafood in the country. Whatever your passion: the beach, boating, golf, tennis, even the fishing is excellent; the living at Park Shore homes comes easy. Whether you are looking for a winter retreat, a year around vacation home, or a permanent residence, Park Shore condos offer some of the most luxurious properties along the Gulf Coast of Florida. 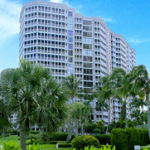 For more information, please contact Corey Cabral and visit http://www.parkshoreluxuryproperties.com/.